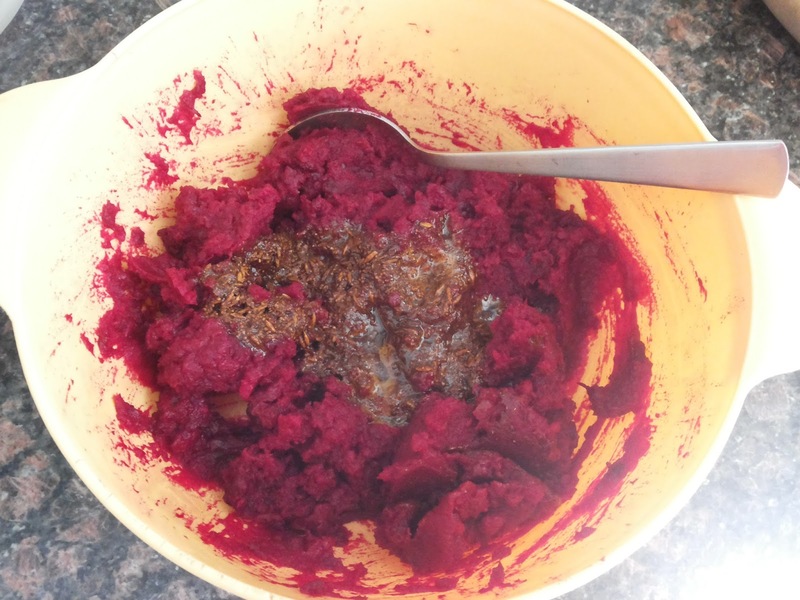 I cannot stress enough on the health benefits of eating beetroot….. be it in a classic soup or an energy drink. Beetroot is low in fat, full of vitamins and minerals and packed with powerful antioxidants - a health-food titan ! 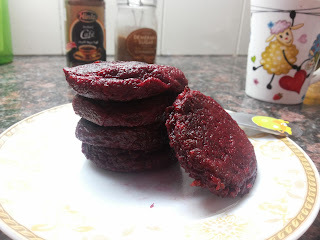 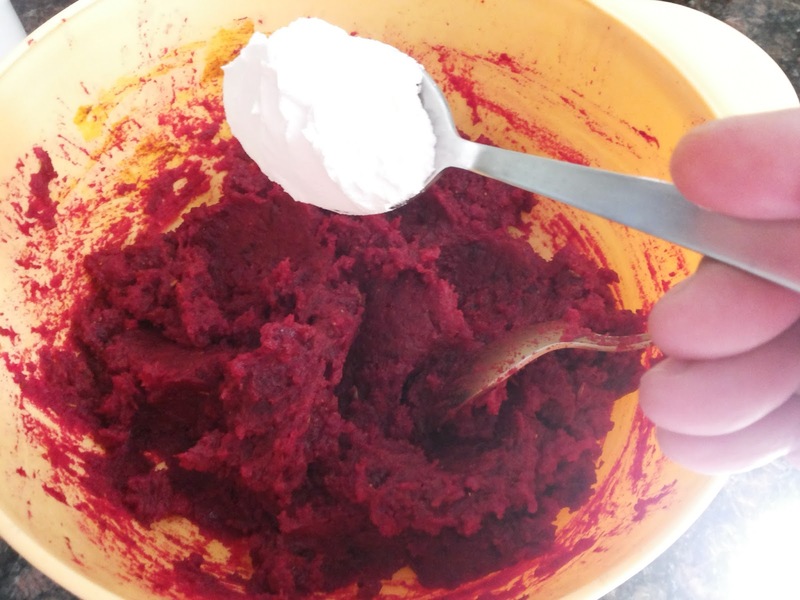 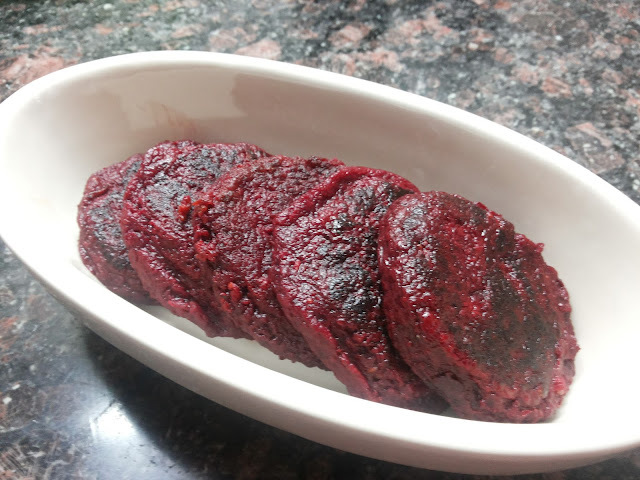 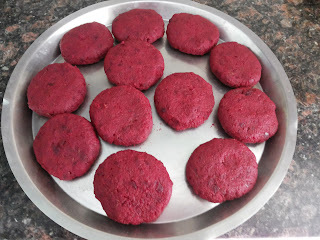 This is an easy to make recipe with undivided focus on beets! Boil and mash the beetroots. 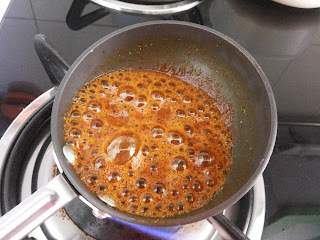 In a pan, heat 2 tbsp oil. 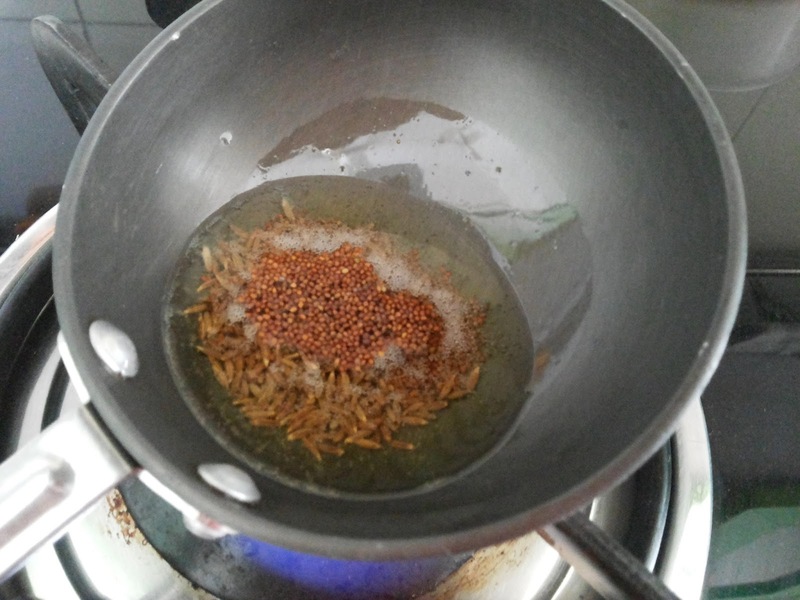 Once the oil is hot, lower the flame and add the cumin seeds and mustard seeds till they splutter. 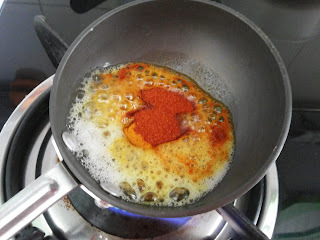 Add the turmeric powder, chilli powder and garam masala. 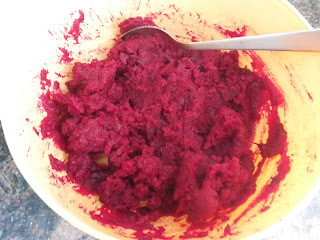 Add this mixture to the mashed beetroot. Mix well. Add cornflour to the batter. Chill this mixture in the refrigerator for 30 minutes. 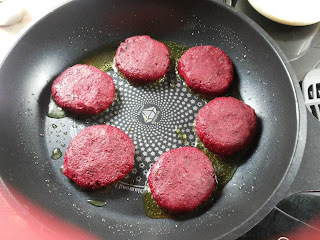 This will help the fritters to set well. 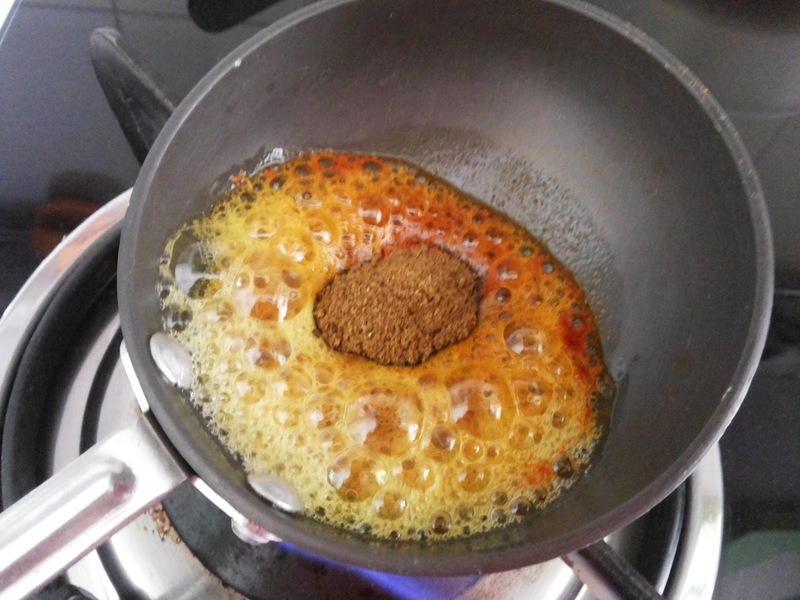 After 30 mins, remove the mixture and divide into equal balls, slightly flatten them out. Heat oil in the frying pan. 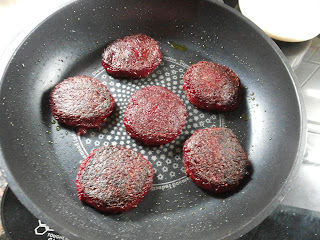 Once the oil is heated, fry the beetroot fritters on a low flame till they are well done on both sides. Enjoy these healthy fritters with a dash of tomato ketchup !